This is where I share my passion for music and support the bands I like ...expect intense, passionate, and radical stuff from this blog. 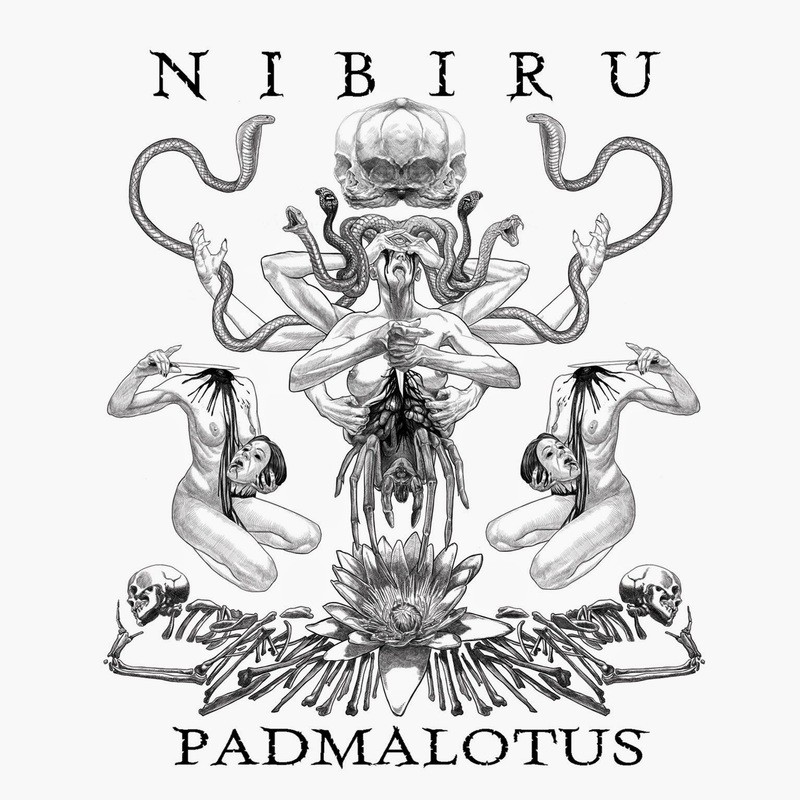 It's really time Nibiru gets the recognition it deserves (read my reviews of their previous albums & the interview we did HERE and THERE). When it comes to dark and psychedelic doom the italian band is truly among the very best. I hope their third album, released this month by Argonauta records and called Padmalotus will set the record straight. What set them apart is their improvisationnal approach to music, giving their doom a deep ritualistic vibe. And of course there's also the heavy, dirt sludgy thick and fuzzy sound of the guitars.It's definitely trippy, but definitely not a peace, love & flower power kind of trippy. More like a lysergik nightmare, a crawling ominous atmosphere (the cover art goes well with the music). Padmalotus is even darker than their previous albums. More tortured vocals (but sounding more like slow incantations than frantic death metal screams), creepy keys parts, a bit of ambient noise elements. It's darker and also there's more experimentation making their music even more unique than it already was. There's a bit of female vocals, some near blast beats drumming at times, making them get closer to a black metal atmosphere, but with the strong psych / ritualistic tribal doom element always present. And the fourth track, a massive 28 minutes one, even ends with an industrial / noise / jungle part, which is surprising but really well done and actually very fitting with the atmosphere, sound and ritualistic trippy vibe of the album. I mention this monster of a last track but the three first long songs are each one excellent, different, bringing new elements. It's darker, more experimental but also it's a bit more "composed" (less improvised) and they gave more space to melodies. They really found a good balance of all the different elements. This is a flawless, very exiting and impressive album.I had big expectations for this album but it's good beyond every expectations. I can't recommend it too much, it's not just highly recommended, it's a mandatory listen!